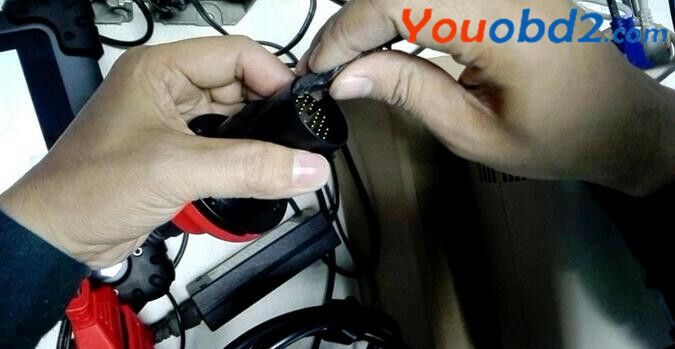 Use the main cable to connect the J2534 ECU Preprogramming Box of Autel MaxiSys Pro ms908p Scan Tool to the vehicle, and via Bluetooth of J2534 ECU preprogramming box to communicate with MS908P. Autel MaxiSys Pro MS908P device from Youobd2.com automatically paired Bluetooth to J2534 box. 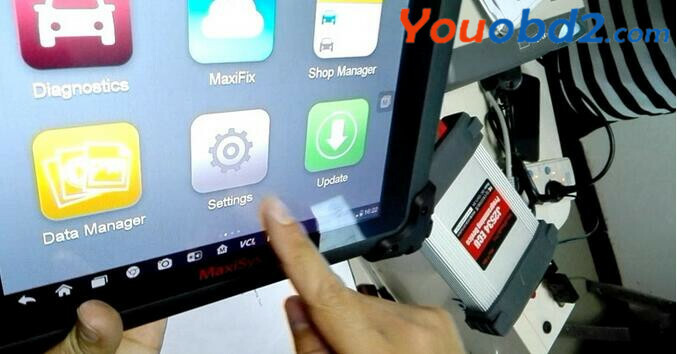 1.Autel MaxiSys Pro MS908P vehicle software language setting is useless, it is customized. 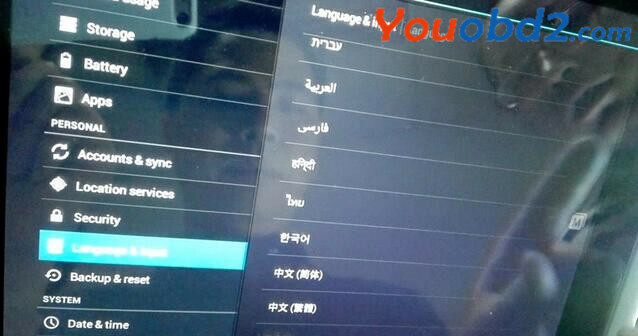 It is English language as default, after receive device, provide the seller Country and language you want, and then they help you add language. 2.Autel MaxiSys Pro MS908P device system language setting is Multilanguage available, just go to “System settings” to reset.